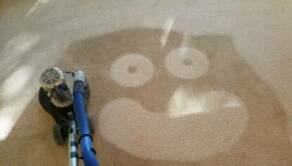 We Professionally Steam clean your Carpet!! 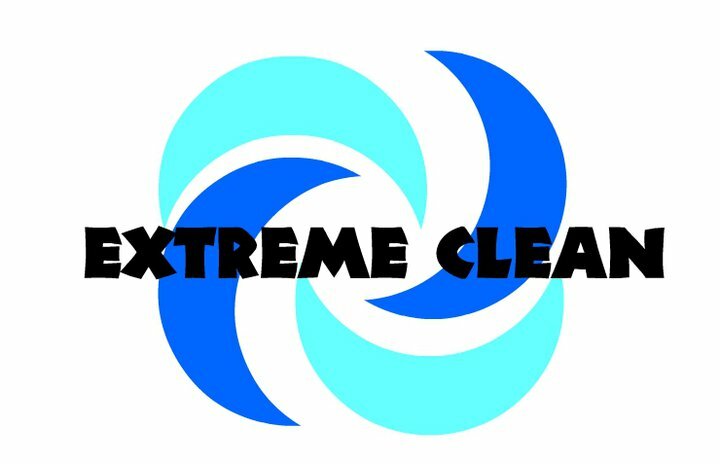 We use a powerful Truckmounted cleaning machine combined with a Rotovac Powerwand to deep clean your carpets leaving behind clean fresh carpets without the residue. Let us show you the difference!!! 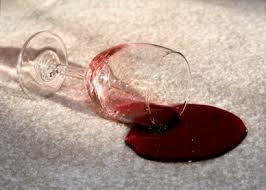 Pre-Inspection- We will identify any problem areas and let you know what to expect after the cleaning. Spot Treatment- Spots that need extra care will be treated to help ensure they come out during the cleaning. Pre-Treat- All areas to be cleaned will get sprayed with the approiate pre-treat to help break down the oils and release the soils bond with the carpet so it can be removed during extraction. This is a very important step that many cleaners overlook or skip. Agitation- Heavly soiled areas will be groomed to further increase the pre-treats ability to loosen heavy spots and dirt. Soil Extraction- Using truckmonted equipment and highly heated water, we will extract all the dirt and soils along with any cleaner that was applied. 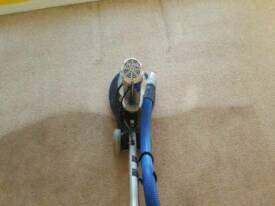 Dry Strokes- After cleaning an area we go back over the same area without triggering the water to extract more mostiore and leave carpets drier. Post Spotting-After cleaning all areas we will check to make sure all stains that could be removed are gone and retreat any that didnt fully extract from cleaning. Final Grooming- we will rake out the carpet to help the carpet dry uniformly and speed up the dry times. We use this method of cleaning because research indicates that the hot water extraction system provides the best capability for cleaning. 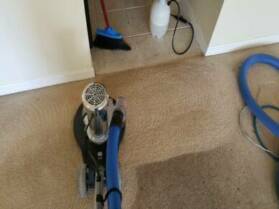 This system is commonly referred to as "steam cleaning," The process consists of applying a cleaning agent into the carpet pile and using water in the extractor to recover the used solution and soil. 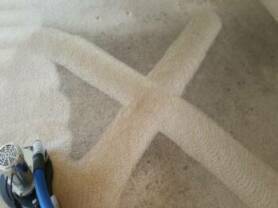 If carpet is cleaned before it becomes too unsightly, the cleaning chore will be easier and more successful. Carpet in a typical household should be cleaned every 6 to 12 months, depending on the number of residents and amount of activity. A very important step in caring for your carpet is vacuuming it thoroughly and frequently, particularly in high-traffic areas. Walking on soiled carpet allows the soil particles to work their way below the surface of the pile where they are far more difficult to remove and can damage the carpet fibers. 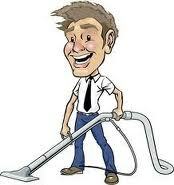 Frequent vacuuming removes these particles from the surface before problems occur. For rooms with light traffic, vacuum the carpet traffic lanes twice weekly and the entire area once weekly. In areas with heavy traffic, vacuum the carpet traffic lanes daily and the entire area twice weekly. Up to three passes of the machine will suffice for light soiling, but five to seven passes are necessary for heavily soiled areas. 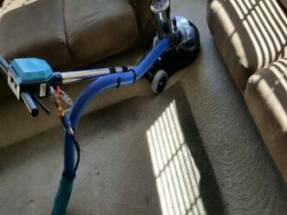 Change the vacuuming direction occasionally to help stand the pile upright and reduce matting. 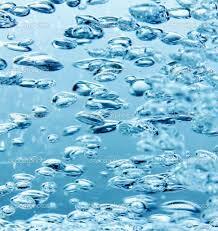 Service Areas Include- Mt.Dora, Eustis, Tavares, Leesburg, Lady Lake, The Villages, fruitland park, Apopka, Sorrento, Mt. Plymouth, Howey In the Hills, Clermont, loongwood, Wintergarden, altamonte and more.